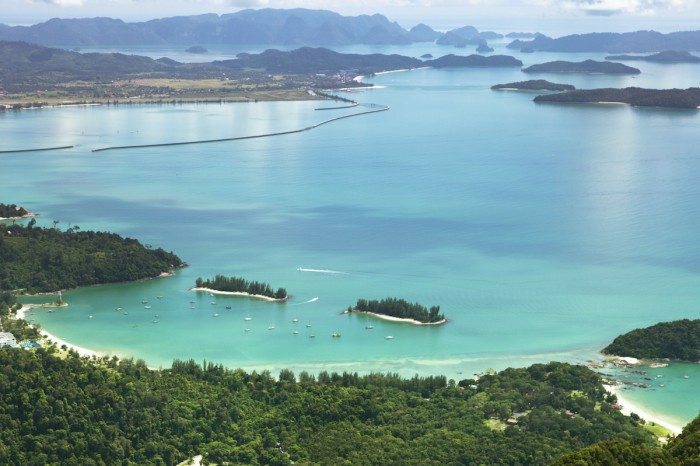 Langkawi is an archipelago of 99 islands in the Andaman Sea off the northwestern coast of mainland Malaysia. It is home to a beautiful mangrove that can be explored by kayak or boat and is home to the world’s longest free span and curved bridge located at the top of Machining mountain. The island is also duty free, meaning your drinks will often be cheaper than other Malaysian islands. Here are the top Langkawi attractions. 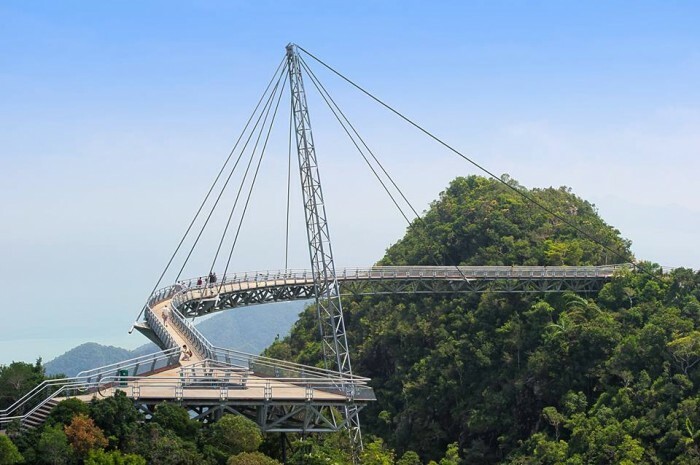 Langkawi is not only an excellent beach destination, it’s also home to the world’s longest free span and curved bridge. Reopened in February 2015 after renovations, it’s back and as spectacular as ever. The journey to the SkyBridge starts with a steep climb up Machincang mountain in a cable car. The more daring can opt for a glass bottom cab. Kayaking is a popular activity for visitors to the Malaysia Island of Langkawi. 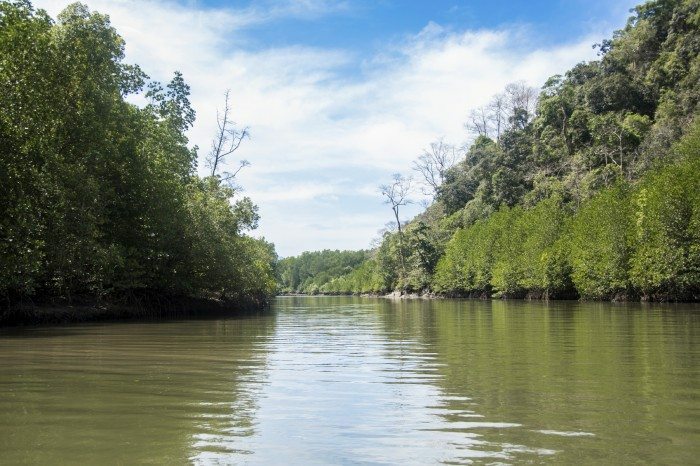 Here you can experience kayaking along the Kilim River to reach Kilim Karst Geoforest Park. In the park you’ll glide through mangroves and pass limestone rocks along the way. You can stop to visit a bat cave and hopefully see kingfishers, herons and mudskippers. 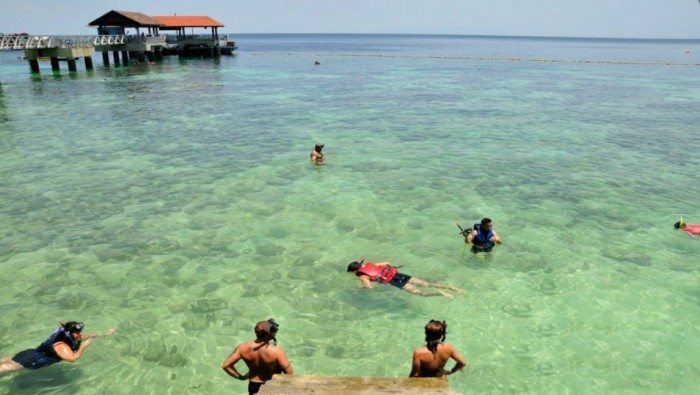 This marine park offers a variety of underwater life that can be discovered with a day trip from Langkawi. Snorkelling or diving around Palau Payar can get you up close to the coral, fish and baby sharks. Land lovers can explore the beaches and trails on the small island. 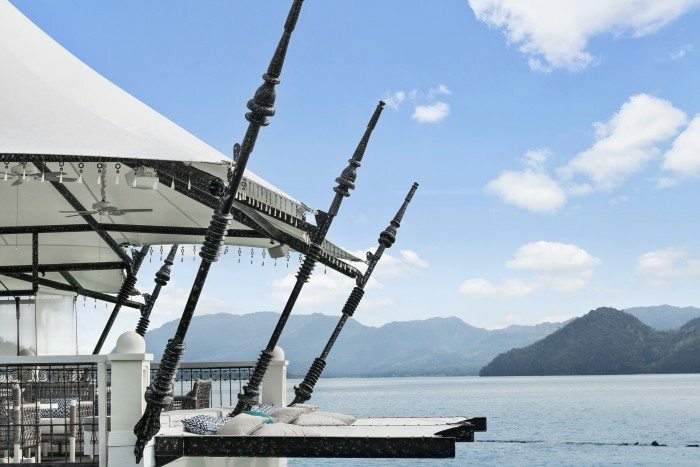 Newly opened in 2015, now you can take in the views of Langkawi’s white sand beaches, lush forests and collection of small islands from the sky. The skydive experience starts with a 20-minute scenic flight over Langkawi’s islands before a tandem skydive over Tanjong Rhu beach, ending with a landing on the sand. Learn More at Skydive Langkawi. Langkawi’s busiest beach Cenang, is where you can find lots of dining and shopping options. The beach itself is beautiful and a great place to relax on loungers while sipping on coconuts. Water sports enthusiasts will enjoy the selection of activities available while families will enjoy the near by Underwater World Langkawi. 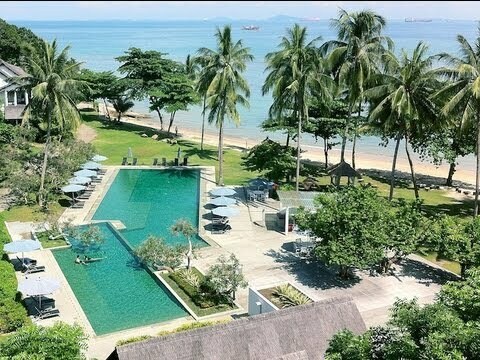 Luxurious resorts are one of the main draws to Langkawi. 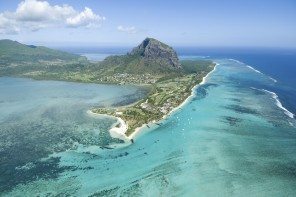 Four Seasons Resort, The Andaman, The Datai Langkawi and now The St. Regis Langkawi are just a few of the upscale stays found on this island. 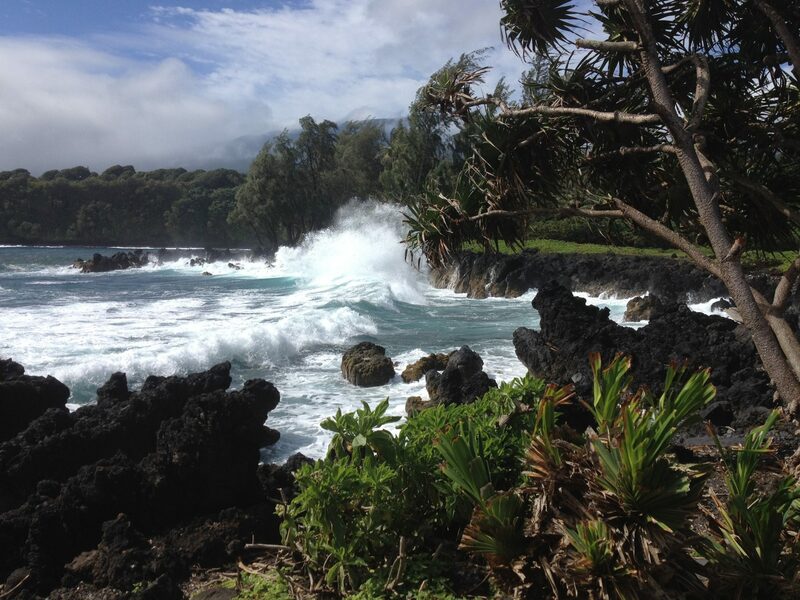 Many offer private beaches, large grounds and are surrounded by lush greenery.